At CES 2015, Lenovo has unveiled a handful of new Android-powered devices, including both phones and tablets. First off, the company has announced the Vibe X2 Pro (seen above, left), which is an updated version of the Vibe X2 we saw back at IFA. The X2 Pro features a 5.3-inch 1080p display and is powered by a 64-bit 1.5GHz octa-core Snapdragon 615 processor. There are also two 13MP cameras on the device, one on the front and one on the back. The Vibe X2 Pro launches in April outside the U.S. and is powered by Android 4.4 with Lenovo’s custom skin on top. Next up is the Lenovo P90 (seen above, right), which features a 64-bit Intel Atom 1.8GHz quad-core processor paired with 2GB of RAM. The P90 packs a larger 5.5-inch 1080p IPS display and 32GB of internal storage. This device features a 13MP rear-facing camera and a 4MP front facing shooter. As with most phablets, the P90 is offering a massive 4,000mAh battery. The P90 will be available in February, but not in the U.S, and runs Android 5.0. To round out its new Android hardware, Lenovo has also today announced a duo of budget-priced tablets. The Lenovo Tab 2 A7-10 comes in at just $99 and includes a 7-inch 1024×600 display. This device is powered by a MediaTek 1.3GHz quad-core processor coupled with 1GB of RAM, 8GB of internal storage, and a 3,450mAh battery. For a little more money, you can get the Lenovo Tab 2 A7-30, which features 3G connectivity, 16GB of storage, and a 2MP camera. This device will cost $129 and be available in March, while the Tab 2 A7-10 launches in February. 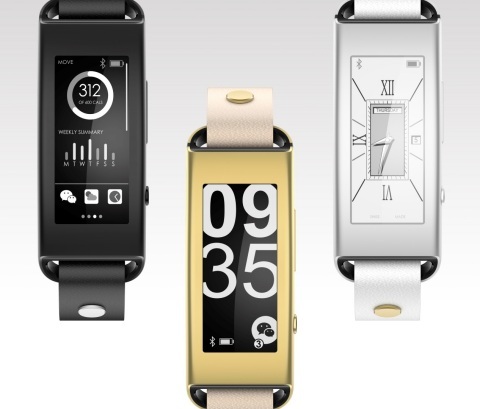 Finally, Lenovo unveiled the VIBE Band VB10 wearable, which features 7 days of battery life and an E-Ink display. Lenovo touts the device as fitness tracking devices, as well as a smart device. The VIBE Band VB10 allows both Android and iOS users to receive instant notifications on their wrist. It will be available later this year for just $89. LAS VEGAS–(BUSINESS WIRE)–Lenovo (SEHK:0992) (Pink Sheets:LNVGY) today announced at the 2015 International Consumer Electronics Show a lineup of full featured devices and accessories designed to enhance the mobile experience of consumers on-the-go. The Lenovo P90 makes its debut appearance as the first smartphone powered by the newest 64-bit Intel® Atom™ processor and Intel XMM™ 7260 LTE-Advanced modem for outstanding mobile performance and speeds, while the award-winning VIBE X2 gets a bigger, bolder look with the X2 Pro limited edition smartphone and VIBE Xtension™ Selfie Flash. The Lenovo VIBE Band VB10 wearable accessory rounds up the lineup with its E Ink display and industry-leading battery life. The Lenovo P90 is the first smartphone to utilize the combination of the newest 64-bit Intel® Atom™ Z3560 processor with Intel’s 5-mode XMM™ 7262 modem. These powerful components allow the P90 to provide incredible processing speeds in addition to supporting LTE-Advanced FDD & TDD for high-speed connectivity in global markets. The Lenovo P90 smartphone is designed to provide the power and performance to let consumers go fast and get things done. Featuring a huge 4000mAh battery, the P90 is equipped to meet the pace and demand of today’s lifestyle from morning until night. The P90’s vibrant 5.5-inch FHD display, at an impressive 400ppi, lets mobile users enjoy content and relive their best moments with vivid colors and high-quality resolution. In addition, the P90 sports an advanced 13MP rear camera with state-of-the-art stacking sensor and optical image stabilization for brilliant shots, even in low-light. The 5MP front camera is equipped with beautification features and gesture controls, while 4G LTE data speeds are ideal for streaming video and music, or gaming on the go. The P90 will be offered in Pearl White, Onyx Black and Lava Red. Sporting the same eye-catching, award-winning layered design of the Lenovo X2, the Lenovo VIBE X2 Pro limited edition smartphone brings craftsmanship, power and style to the next level with its sleek, lightweight full-metal body. The VIBE X2 Pro packs a 5.3-inch FHD display with stunning visuals and a 64-bit Qualcomm® Snapdragon™ Octa-Core processor that delivers jaw-dropping performance and long-lasting battery life. For greater ease of use, the Lenovo X2 Pro incorporates the intuitively designed VIBE 2.0 user interface, featuring personalized lock screen, Instant On camera, elegant transparent icons and more. The smartphone also utilizes dual 13 megapixel auto-focus cameras (front and rear) with LED flash, gesture controls and beautification features, which combines with the new VIBE Xtension™ Selfie Flash to capture flawless selfies. The Lenovo VIBE Xtension™ Selfie Flash is the must-have accessory to capture every moment, no matter the lighting conditions. The pocket-sized flash plugs into the audio jack, giving the user a quick way to create ideal lighting and shutter sync to deliver brilliant, natural-looking pictures outside, inside and everywhere in between. The Selfie Flash works by using 8 diffused LEDs to supplement available light for natural color tones, even in low light condition. The rechargeable flash provides up to 100 selfies in a single charge to snap and share pictures day and night, while the 100% shutter sync times seamlessly to capture picture-perfect selfies. 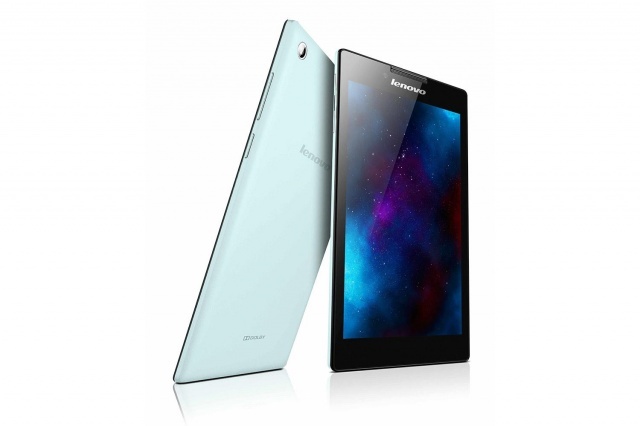 The Lenovo P90 will be available beginning in February, 2015. The Lenovo VIBE X2 Pro will be available beginning in April, 2015. The Lenovo VIBE Xtension™ Selfie Flash will be available for use with the VIBE X2 Pro. The Lenovo VIBE Band VB10 will be available beginning in April, 2015. 1Available in select geographies. 2Requires enabled device and may require software or other 3d party applications to provide the described features. 3Prices do not include tax or shipping and are subject to change without notice and is tied to specific terms and conditions. Reseller prices may vary. Price does not include all advertised features. All offers subject to availability. Products may only be available in selected markets. Lenovo reserves the right to alter product offerings and specifications at any time without notice. Lenovo (SEHK:0992) (Pink Sheets:LNVGY)[ is a $39 billion global Fortune 500 company and a leader in providing innovative consumer, commercial, and enterprise technology. Our portfolio of high-quality, secure products and services covers PCs (including the legendary Think and multimode YOGA brands), workstations, servers, storage, smart TVs and a family of mobile products like smartphones (including the Motorola brand), tablets and apps. Join us on LinkedIn, follow us on Facebook or Twitter (@Lenovo) or visit us at www.lenovo.com.